Doctor Allison Milner has a Ph.D (2010), a Masters in Epidemiology (2013) and an Honours degree in psychology (2006). Allison was a Australian Rotary Health “Ian Scott Scholar” for the state Queensland in 2008 and 2009. In 2011, she was given the national “Emerging New Researcher” award from Suicide Prevention Australia in recognition of her significant and growing contribution to the field. In 2014, she was awarded a national award for research from the Centre of Research Excellence in Suicide Prevention, University of New South Wales, Australia. She has recently been recognized with a Tall Poppy Science Award for the State of Victoria, which recognizes her achievements as an outstanding young scientific researcher and communicator. 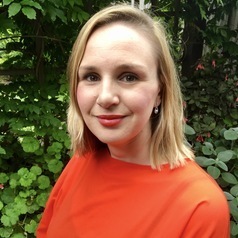 Allison was awarded an Alfred Deakin Fellowship in 2015 and has an appointment at Population Health Strategic Research Centre, School of Health & Social Development, Deakin University. She also has an ongoing appointment at the School of Population and Global Health, University of Melbourne. Doctor Milner has published numerous academic papers in the past 3 years on work related stressors and suicide and has vast experience in the analysis of longitudinal cohort study. Dr Milner holds numerous competitively funded grants and tenders on work and health, and actively engages in research and policy on this same topic.